The Oregon Senate passed a bill Thursday that would ban restaurants from freely handing out plastic straws to customers. Customers dining inside must explicitly request a straw to get one. The rule does not apply to drive-through customers. As goes California so does Oregon. Would be pretty funny if MAGA ordered all gov departments to dump all plastic straws in their recycling bins into the turtles/sealife populated ocean near Oregon. Might even energize GOP base. But seriously, these issues are a far cry from more serious days of Bush-Rove issues machine when attacks on God-made marriage/DOMA were much bigger issues than attacks on straws. Incredible evolution within 8 years. Who knows if in another 10 years GOP will be running on the platform of saving turtles. Last edited by enhanced_deficit; 04-14-2019 at 07:50 PM. I like to use a straw. Maybe customers should start bringing their own straws. Would be pretty funny if MAGA ordered all gov departments to dump all plastic straws in their recycling bins into the whales/sealife populated ocean near Oregon. Might even energize GOP base. That's idiotic, there is no comparison between the things you are comparing. Where's your spirit to energize the base through some entertainment, why so serious. State Rights on DOMA or State rights on Straws ? Why no threads are started on GOP's #1 issue of 2004-08, Gay Marriage, any more. I'm suggesting 10 years from now GOP won't be objecting to plastic straw bans and probably would be cheerleading it.. not that I support it. Have not seen any indication that straws can be used to make bump stocks. Many of you probably live in places where they've banned plastic bags in supermarkets. The big supermarket chain in my area now wants to charge 5 cents for a paper bag. It wasn't too long ago when there weren't plastic bags. But every grocery store had bags, and they were made of paper, and guess what, they were free. The free paper bag of maybe 30+ years ago and decades before that has become a 5 cent paper bag of today. Why is this? Another question is, has anyone noticed that the packaging in every single item you buy has at least one layer of plastic in it? So much plastic in all that packaging. But it doesn't irritate or annoy the average person very much to change the laws regarding packaging, so why bother? Best I guess to outlaw a free method of carrying all those items full of plastic, because that free method contained a bit of plastic. People also find uses for those plastic bags. Oh yea, and now, sawdust causes Cancer (Ca). All Bad and in need of State Control, taxes, fines, imprisonment. If you make everything illegal, then legalize it, (hence regulate it), you can tax it. I started using the Walmart Reusable bags , thought I'd give them a try. else to use them unless they like the idea. job killing 'self checkout' kiosks, not going to happen. I love the self-checkout kiosks since they're usually open and don't vote for $15 per hour minimum wage. I also use the plastic bags to suffocate dolphins. Thank you! Same here... And where's my compensation for doing their job then? When they hit me up I always ask them if I get 10% off for my labor, of course not. This is slow "conditioning" so that they can have their cake and eat it too. If we accept it soon it will be nothing but self checkout, ever try to do this with a full cart? You have to go to the front of the store and get an empty cart to fill as you scan from the full one. I will leave a full cart and walk out and go to another store before I do this silliness. It's a bad trend for many reasons and I would like to see more voice against it. Going the way of California I see. "IF GOD DIDN'T WANT TO HELP AMERICA, THEN WE WOULD HAVE Hillary Clinton"!! "For Wales. Why Richard, it profits a man nothing to give his soul for the whole world. But for Wales?" It's just not a good day in AmeriKa unless you're banning something, damn it. They came for the straws. Next they'll go after the spoons and forks forcing us to eat everything with our hands. Adjusted, this could be an endless list. Yes eventually they will come for everything and the only things we'll have left are the clothes on our backs. Then again they'll come after those too. I do it now when home alone so I will be in practice . How do you manage it with soup? I just put it in a beer mug and drink it while watching football . 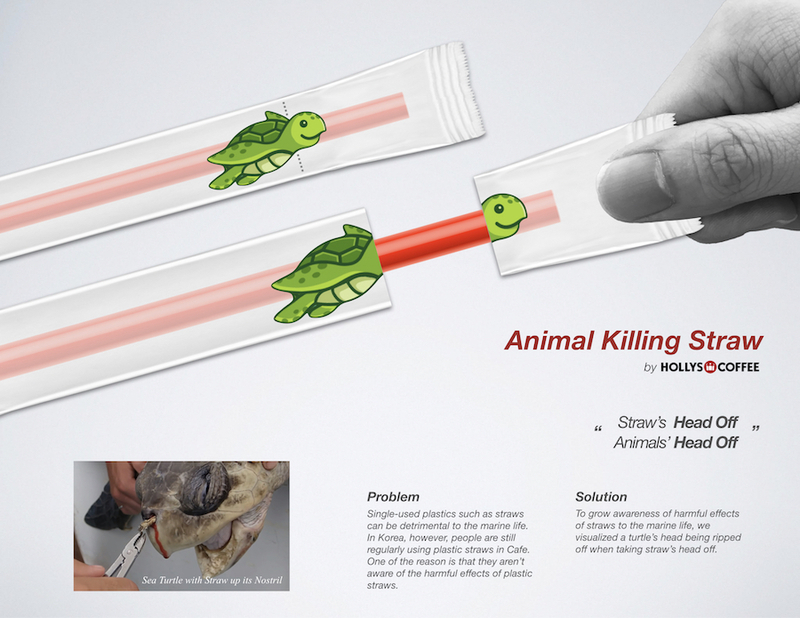 I'm not killing sea turtles with my plastic straws. I didn't throw my garbage into the ocean. GTFO. I am not even sure oregon deserves to have restaurants . They should all be shut down until after the next state legislature can decide . yeah, isn't it strange that we never hear how 90% of the plastic in the oceans comes from Asia and Africa? Eight of them are in Asia: the Yangtze; Indus; Yellow; Hai He; Ganges; Pearl; Amur; Mekong; and two in Africa – the Nile and the Niger. Tha sounds bit extreme.. but I dunno. Should You Turn Someone in For Smuggling Plastic Straws Into Ca ?